Here are five conditions which may be causing your lawn to fail. Your lawn may be on the brink of death year after year if it is covered in weeds and is lumpy, bumpy, patchy and pale. You may want to look beyond the surface, peel back the layers and get your hands dirty to expose the truths about your lawn. These core issues can severely impair your lawn's ability to grow to its healthiest potential and addressing them can do wonders for the overall health of the lawn. You will hear this from us time and time again; it is all about the soil. Create soil that favors turf growing conditions and the rest will fall into place. Test your soil for nutrient content, pH and cation exchange capacity. Soil tests will indicate whether it is necessary to add lime to the lawn. Soil tests should be taken every 3 to 5 years to track improvements and alter the program as needed. Other cultural practices like aerating and topdressing with a soil amendment like compost can be used to improve soil structure and add organic matter. Compacted soil is a terrible growing medium for lawn grass. Soil can become compacted from foot traffic, vehicle traffic or poor soil composition—a clay-based soil for example. Excessive compaction reduces the airspace required for healthy functioning soil and optimum plant growth causing thin, stressed turf which is susceptible to weeds, diseases, and pests. Compaction can be relieved by aerating and if the cause is poor soil, top dressing with a soil amendment. Drainage is a factor that often gets overlooked when it comes to a lawn, but it is often the root of many lawn problems including moss and ground ivy. Soils with a heavy clay content are often the culprit of a poorly drained lawn. After rain or irrigating, the soil becomes waterlogged and there is nowhere for the excess water to go, so it remains in the soil or on the surface interfering with vital functions within the root zone of the lawn. Subsurface drainage in the form of perforated piping may need to be installed to draw the water away from the area. The pitch of the lawn may also be altered to improve surface drainage and once again, aerating and topdressing with a soil amendment (like sand) can improve the drainage of the soil over time. 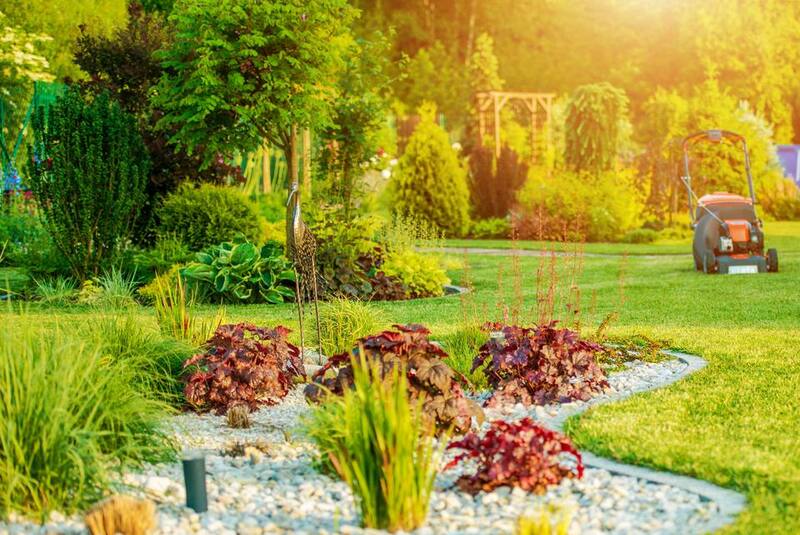 Although there are plenty of grass varieties available that can tolerate a fair amount of shade, lack of sun can still be a factor in a failing lawn. Using shade tolerant grasses like fescues is part of the solution, but other measures may need to be taken. Trees can be selectively pruned to provide a little more sunlight and also improve air circulation. Many old shade trees benefit tremendously from selective pruning by providing more sunlight to the lawn and cleaning up dead branches and other issues which may arise during times of high wind. Finally, your lawn might very well be failing because you or your lawn care provider is mowing it too short. It happens every year, yard after yard of grass that is barely hanging on to life because it was mowed too short. Mowing the lawn too short damages the crown of the plant, which is the growth center of the plant. As the grass works to recover from damaged crowns (also known as scalping), it becomes stressed. A stressed lawn is susceptible to weeds, diseases, and other pest invasions. Growing a full, lush, lawn at the height of 3.5 inches reduces plant stress and crowds out weed seedlings naturally.